Paul Streumer studied in the gymnasium (the Dutch grammar school) with a heavy emphasis on western classical languages and history. He broadened his horizon—and practised his English—during travels overland to South Asia, which he funded by working as a hand in the metal industry. He then read philosophy at the University of Amsterdam, historical anthropology and rural economics at the University of Utrecht, and did postgraduate development studies at the University of Amsterdam, in that order. He obtained his PhD in Languages and Cultures of South Asia from the University of Leiden. 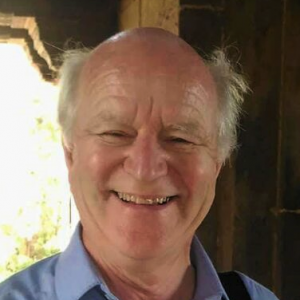 Paul taught sociology of development of South Asia and China at the University of Utrecht, was a consultant on knowledge management to several Dutch ministries, and a board member of the Friends of the Institute Kern, the Indological Department of the University of Leiden. Not content to limit himself to academic pursuits, he now divides his time between directing the SBP (Foundation Foreign Partner, which supports Dutch citizens with non-EU partners in the Netherlands) and researching the tribal history of India as an independent researcher. To get the feeling of the culture, he stayed in an HO village. For this book, Paul did intensive research spread over two decades in archives in London, Kolkata, Patna, and New Delhi. His research motto is: ‘If it exists, I will find it’. Dr Paul, as he is known, loves diyeng, the HO rice beer.